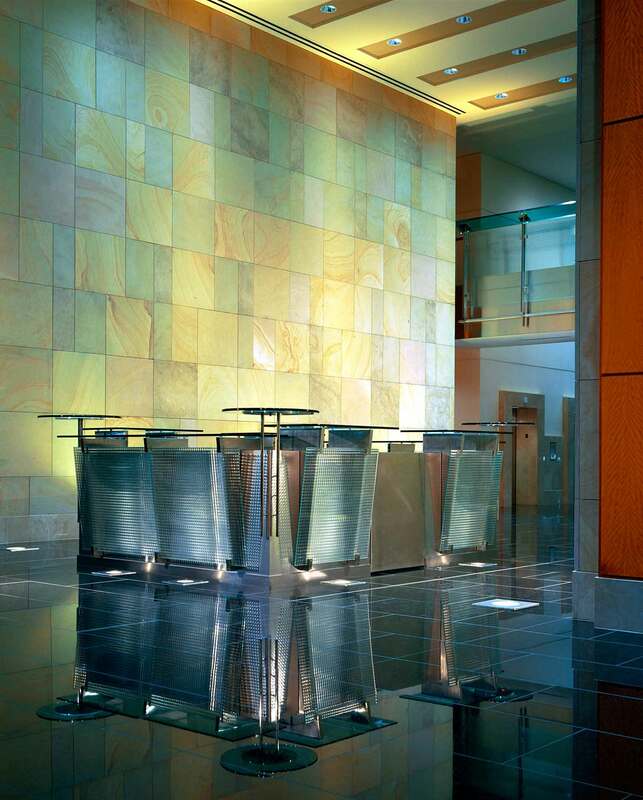 Inspired by the exterior sitework, two story Crab Orchard stone walls anchor the lobbies and the interior finish palettes. 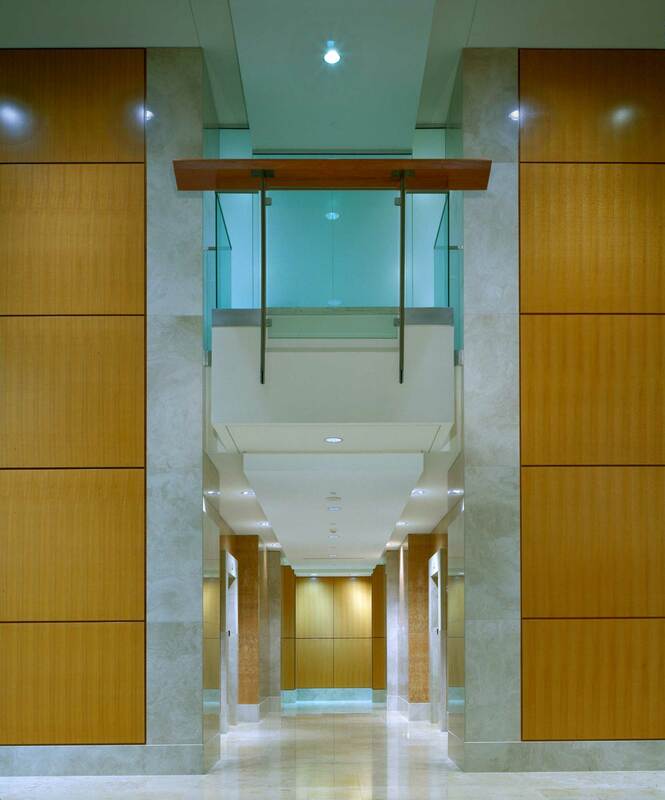 “Juliet” balconies split the surrounding walls of Noisette Limestone and Lacewood or Gaboon wood veneer. 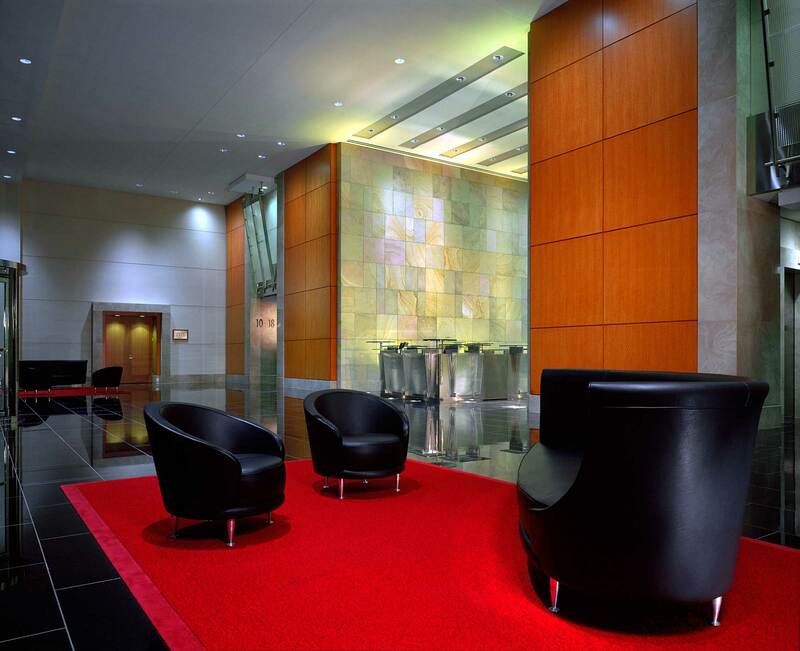 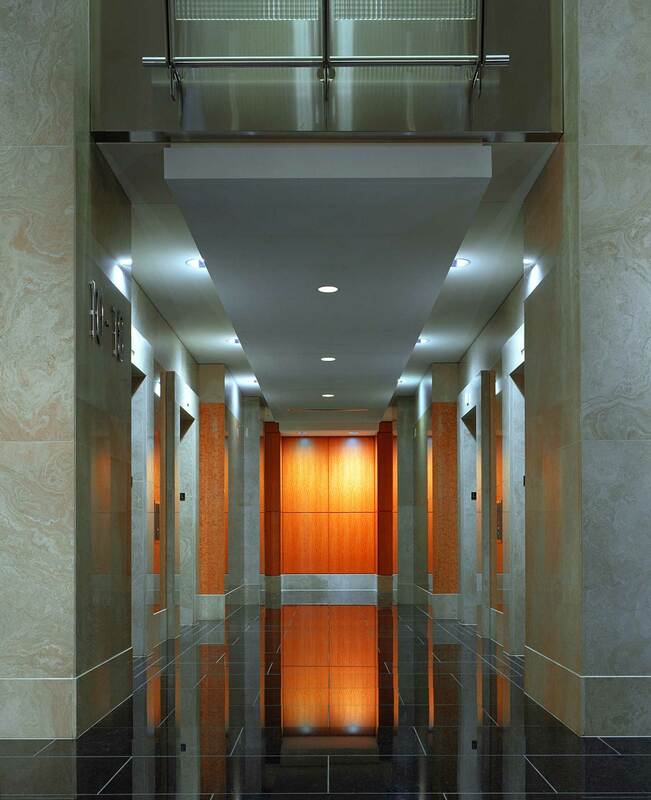 Rosso Verona marble, Black Galaxy granite, textured glass panels and floors of Jura Beige and Jura Gray limestone or Peribonka granite provide the accents and the experiential difference between these two commercial lobbies in Atlanta.